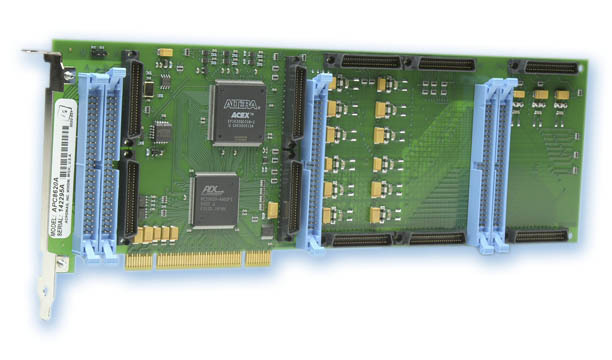 Interfaces industry-standard Industrial I/O Pack (IP) modules to a PCI bus on a PC-based computer system. Five Industry Pack module slots allow you to mix a variety of I/O functions (A/D, D/A, digital in, digital out, etc.) on a single board. Dedicated ribbon cable header for each Industry Pack. Compatible with Acromag or any other Industry Pack mezzanine ANSI/VITA 4 modules. I/O modules not included; see our IP480-2 timer Industry Pack offer.